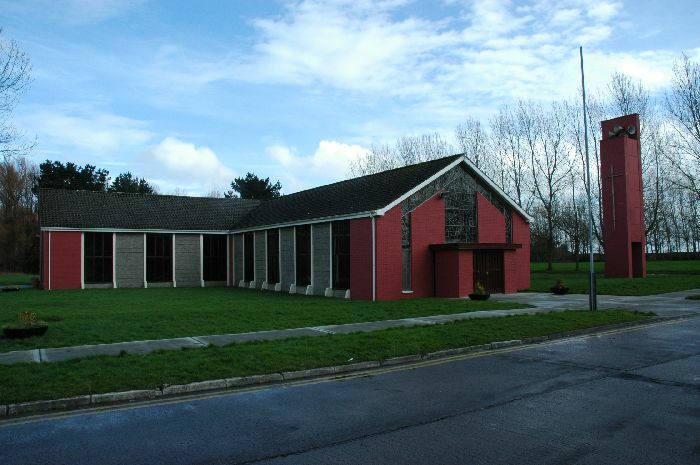 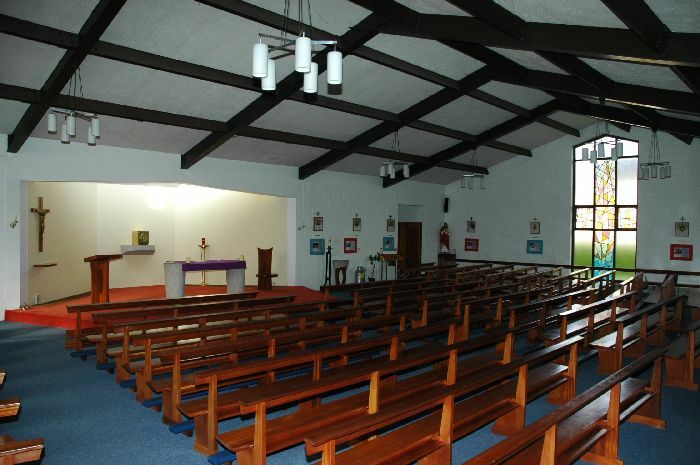 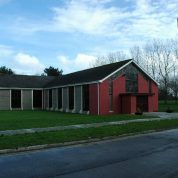 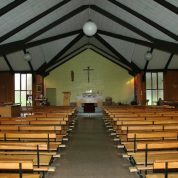 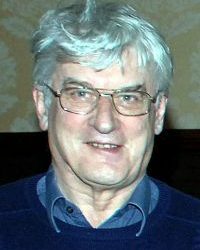 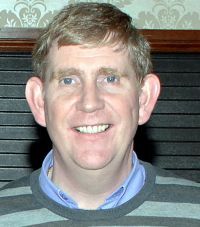 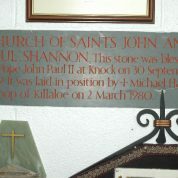 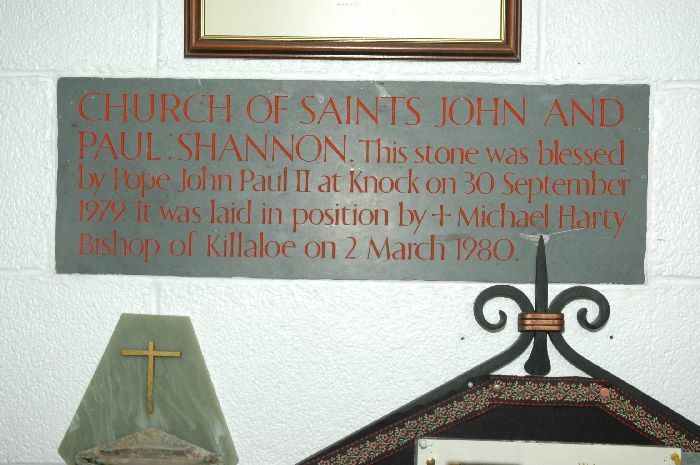 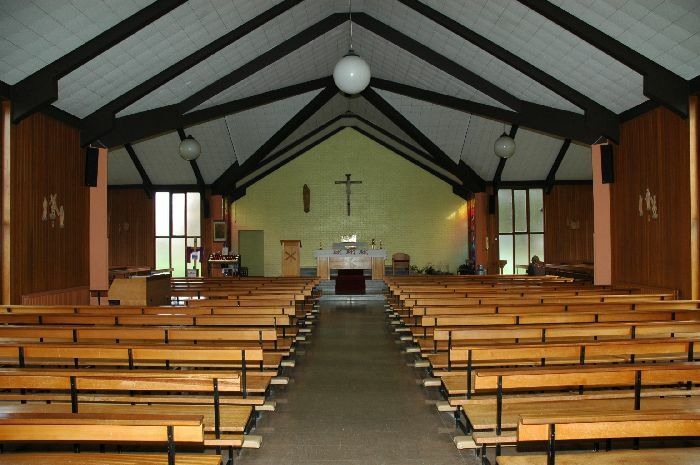 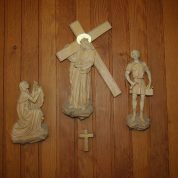 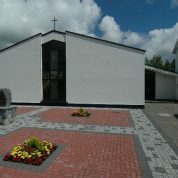 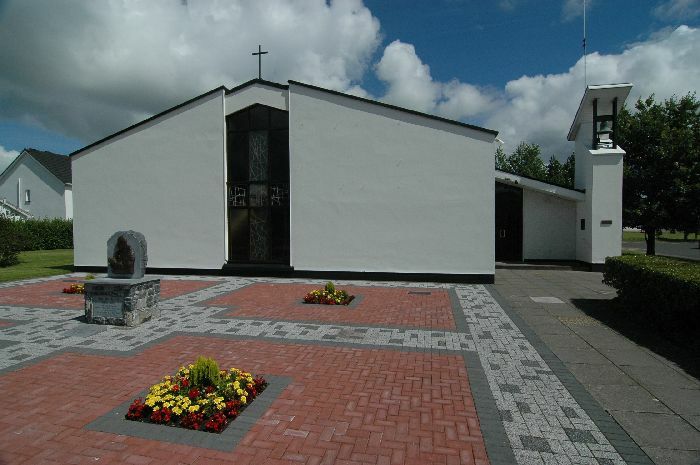 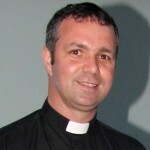 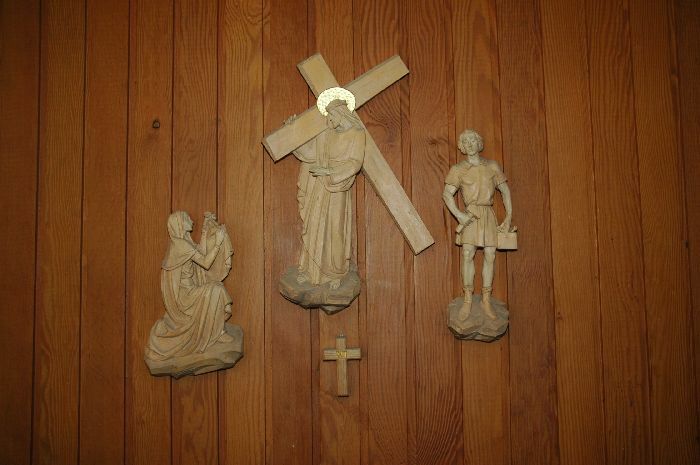 To facilitate Shannon’s growing population in the Tullyvarraga area, a new church was opened , officially named SS John & Paul Church and consecrated on November 13th 1980 by the then Bishop of Killaloe Dr. Michael Harty. 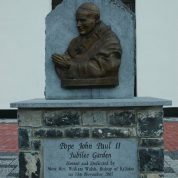 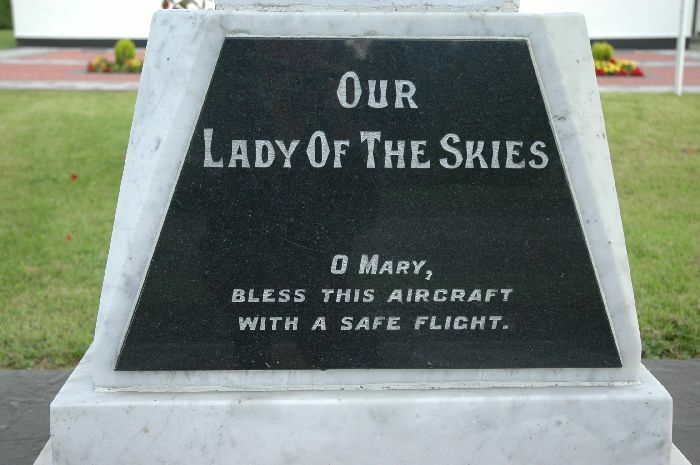 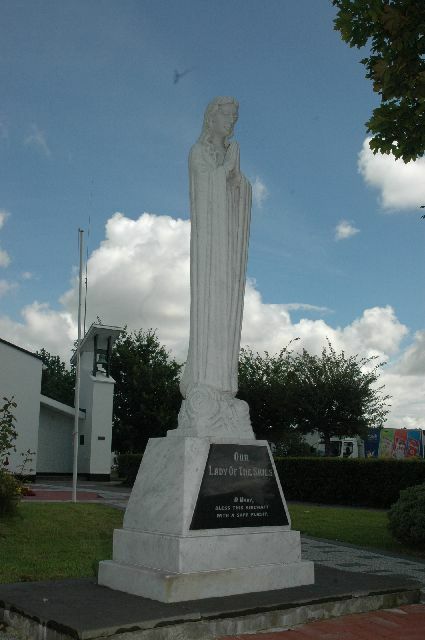 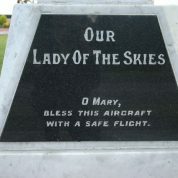 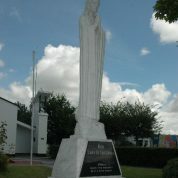 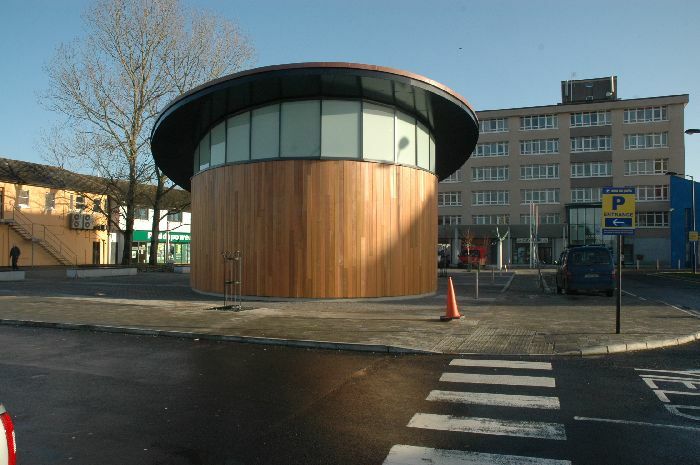 It was named after the late Pope John Paul II because he blessed the foundation stone at a ceremony at Shannon Airport before he left Ireland after his 1979 historical visit. 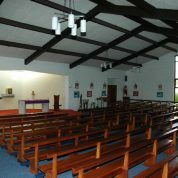 It’s capacity is 450. 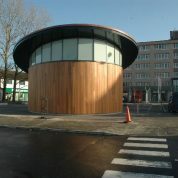 In 2005, ceremonies took place to mark the 25th anniversary of its opening. 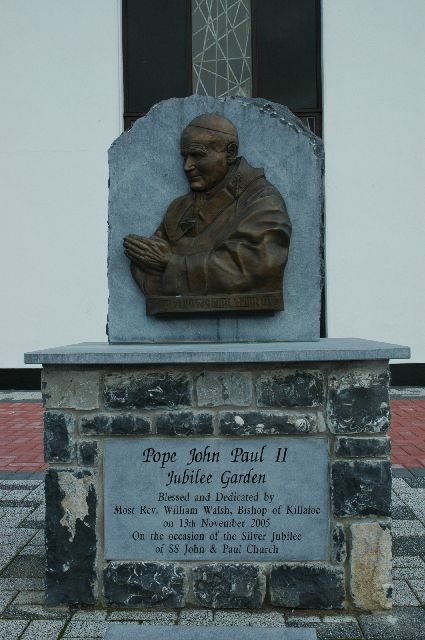 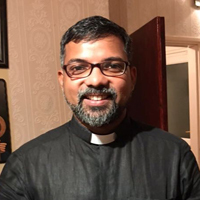 To mark the Silver Jubilee of the Church and pontificate of the late Pope John Paul II, a specially commissioned jubilee garden was created in front of the Church.